A phrase that I've been hearing around a lot recently is arm candy. If you don't already know, arm candy just means decorating your arm with a collection of bracelets and watches. The jewelry can be real, fake or a mixture of the two (if you're like me, then you like to mix it up). So I've been searching vintage stores and online sites to add to my arm candy collection. I decided that birthstone bracelets would make a great addition as I don't have any jewelry that represent that. Anjolee has some really great gemstone bracelets that can be ordered to fit your unique specifications. You can customize your piece and choose from 10k, 14k or 18k as well as yellow gold, white gold or even platinum. This is the Oval Focus birthstone bracelet that I picked out for myself, featuring amethyst stones (I was born in February for those who don't know their stones, lol). 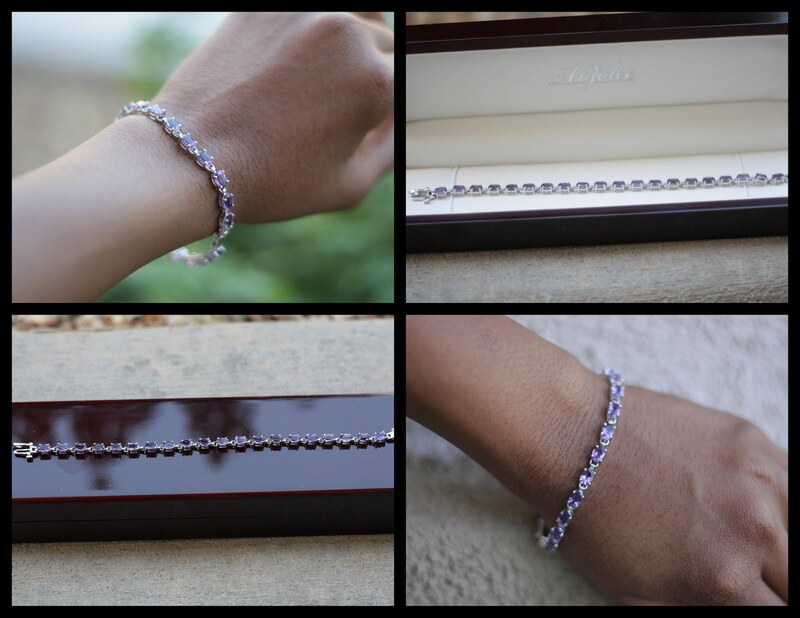 And if gemstones aren't your thing, you can even go for a classic diamond tennis bracelet that can also be customized to your needs. 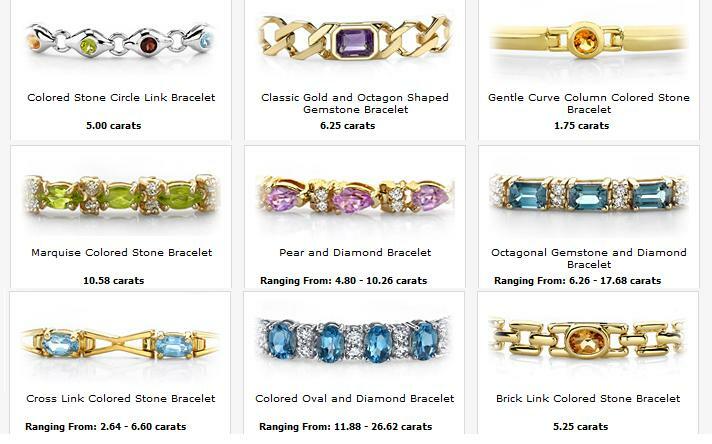 Whether you want something vintage or something that is red carpet ready, you are sure to find an amazing array of diamond tennis bracelets or pieces with your birthstone that are both glamorous and personalized. What do you think of my new arm candy? Today is also my pomeranian's birthday, so happy 8th birthday to you Inigo Montoya! Very pretty! I love tennis bracelets! I love this company - they make such a great product! I also love your puppy's name - how adorable. The white and blue is the best for me! I totally like the color combination. Gemstones go with everything, which is why they are so popular. And they sparkle. So I love that. Bling is everything. Lovely! I actually love my gemstone... ruby, but also Sapphires are so beautiful. Very pretty, you'll get loads of wear from that baby! this is so so fab!!! it looks so classy i like and wanna have this sort pf arm candy dear. "diamonds are girls best friends"
that is what i call arm candy. yes please!